We used three mitochondrial DNA fragments with different substitution rates (ND1, Cyt b and the CR) to infer phylogenetic relationships among six species of the genus Nyctalus, and compare levels of genetic divergence between the insular, vulnerable Nyctalus azoreum and its continental counterpart to assess the origins of the Azorean bat. The larger species found throughout the Palaearctic region (N. lasiopterus, N. aviator and N. noctula) share a unique chromosome formula (2n = 42) and form a monophyletic clade in our reconstructions. Nyctalus plancyi (= velutinus), a Chinese taxon with 2n = 36 chromosomes, is sometimes included in N. noctula, but is genetically very divergent from the latter and deserves full species status. 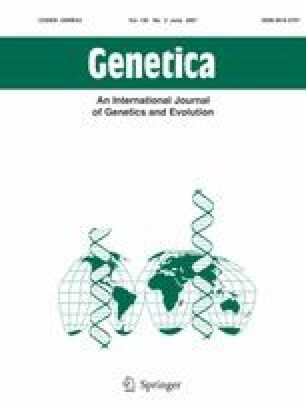 All Cyt b and CR haplotypes of N. azoreum are closely related and only found in the Azores archipelago, but when compared to continental sequences of N. leisleri, levels of mtDNA divergence are unusually low for mammalian species. This contrasts with the high level of differentiation that N. azoreum has attained in its morphology, ecology, and echolocation calls, suggesting a recent split followed by fast evolutionary change. The molecular data suggest that N. azoreum originated from a European population of N. leisleri, and that the colonisation of the Azores occurred at the end of the Pleistocene. The Madeiran populations of N. leisleri also appear to have a European origin, whereas those of the Canary Islands probably came from North Africa. In spite of its recent origin and low genetic divergence, the Azorean bat is well differentiated and consequently represents a unique evolutionary unit with great conservation value. We are indebted to the people who helped in the field, including: Ana Cerveira, Filipe Moniz, Mafalda Frade, Filipe Canário, Mário Silva, Helder Fraga, Fernando Pereira, Margarida Leonardo, Sofia Lourenço and Sophie Vancoille. We are grateful to Maria José Pitta and André Silva from the Direcção Regional de Ambiente dos Açores for processing the permit to handle bats. We also would like to thank the samples donated by A. Rainho (I.C.N. ), J. Juste, C. Ibañez, D. Trujillo (I.B.D. ), and Petr Benda (N.M.P., grant 206/05/2334 from the Grant Agency of the Czech Republic). José Farni and Benoît Stadelmann provided help during the sequencing at Geneva. Anabel Perdices gave advice on the phylogenetic analysis. We would also like to thank the Muséum d’Histoire Naturelle de Genève and anonymous reviewers. This research was funded by Fundação para a Ciência e Tecnologia (project POCTI: BSE/33963/99–00), and a PhD grant to P.S. (SFRH/BD/1201/2000), co-financed by the European Regional Development Fund.